Looking for new skin care products for the summer? I highly recommend Votre Vu's French luxury line, which I've been using for the past two months. I was actually first introduced to Votre Vu back in October at the KMR Girl's Night Out Event at Bruno Jamois, when I instantly became hooked on their Snapdragon Beauty Beverage, which includes mango, pomegranate and acai berry juices mixed with green, white and red teas. Votre Vu makes cleansers and moisturizers for a variety of skin types - sensitive, normal to dry, troubled or mature. I've been using the Normal to Dry skin set, which includes Best Regards Lait Pour Le Visage (Anti-Aging Milk Cleanser, $29), Fleur Blanc Tonic (White Flower Toner, $25), Best Regards Crème de Jour (Day Crème, $39) and Best Regards Sérum Hydratant Pour Le Visage (Hydrating Anti-Aging Sérum, $59). The creamy milk cleanser contains sunflower seed oil as a base, blended with jojoba oil, natural essential oils and wheat ceramides. This formula regenerates, firms and moisturizes. Another one of my favorites is the White Flower Toner. It's formulated with essential water, with a White Lily scent that I absolutely love. 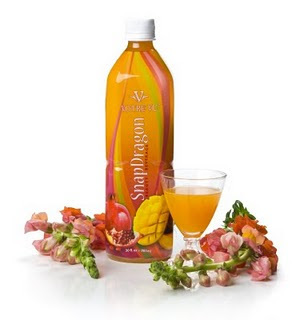 It supports better cell exchange by strengthening and fortifying the skin. I must admit, I usually don't use a toner as part of my skin care regimen, but it feels really refreshing. The crème is super soft, containing active hydro-regulating, nourishing and restorative plant extracts and shea butter, along with essential oils that comfort and protect skin. I apply 3-4 drops of the serum at night, which contains natural lactic, amino and hyaluronic acids. I just love how all of these products work together to leave my skin feeling clean, revitalized and super soft, with natural and anti-aging ingredients. À VOTRE SANTÉ Elixir Essentiel, $29, also tops my favorite list as a must-have summer product. I keep this half-toner, half-sérum mist refrigerated, applying on the face as a cooling spritzer. I love the scent of essential fruit oils and organic peppermint. It's a refreshing booster that you can use to set your makeup or use on-the-go after hitting the gym or relaxing in the sun all day. AMOUR D'ORE Les Vitamines Pour Vous (GOLDEN LOVE Multi-Vitamin Oil for Face, Body and Hair, $52) is ideal for use after showering or laying out in the sun. The precious oils leave skin feeling soft and smooth as it protects with Vitamin E. You can spray it on your face, arms, legs and the top of your feet. This is also a great spray for the hair for extra shine. I am enjoying using all my Votre Vu products. I love all the anti-aging ingredients, natural oils and the fact that it doesn't dry out my skin but instead revitalizes it. Learn more about Votre Vu products at votrevu.com. 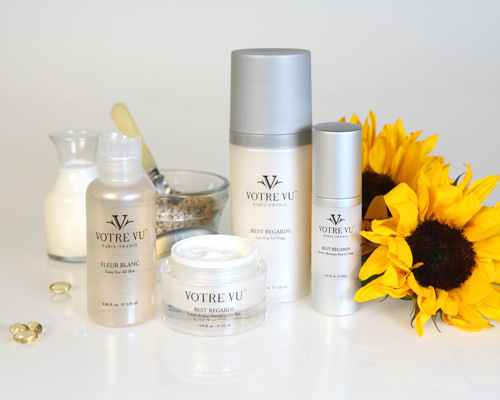 Thanks for the wonderful review of the Votre Vu product line. The French do know skin care, oui? I thought your readers would be interested in learning about our new Personal Shopper program. Much like a membership club, you pay $69 and receive our four best sellers valued at over $100. But here's the best part, you then pay wholesale for any future purchases! Honest, you buy at the same price I do. If anyone is interested in learning more, please let me know and I'd be happy to answer your questions.